LOS ANGELES (AP) — "American Idol" viewers cast a record 132 million votes in the showdown between bluesy guitar man Phillip Phillips and teenage songbird Jessica Sanchez, host Ryan Seacrest said during Wednesday's finale. The pair had to wait for the two-hour finale to unfold before finding out the winner. Fox filled the time with performances by the top 12 finalists and guest stars including Neil Diamond, Rihanna, Reba McEntire, Chaka Khan and John Fogarty. Phillips earned consistently high marks from the show's judges, while Sanchez faltered on "Change Nothing," the song that could serve as her first release. The teenager agreed with panelists Randy Jackson, Jennifer Lopez and Steven Tyler, saying she should have gone more "urban" with her song choice. 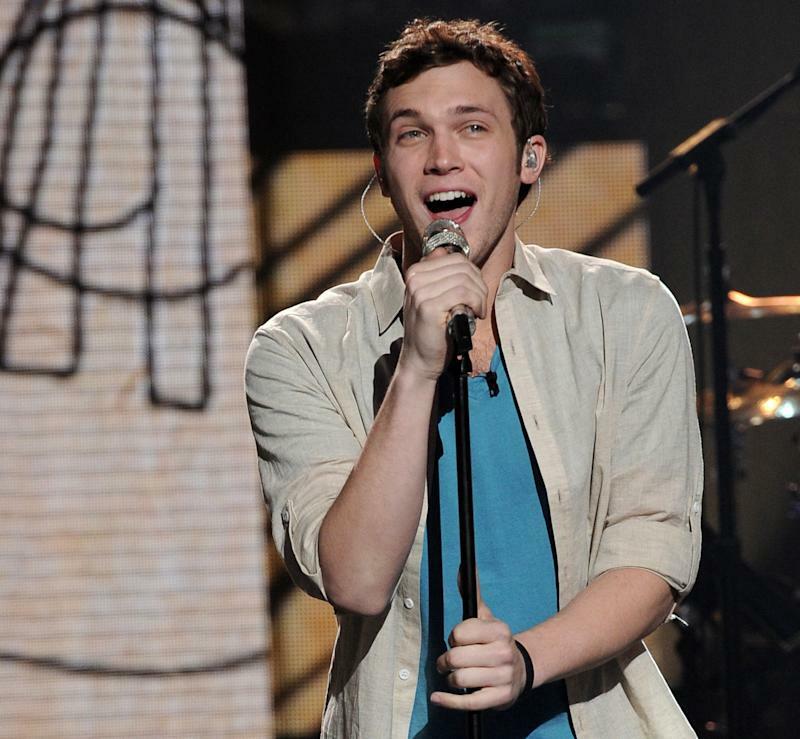 Phillips had better luck with his potential future single selection, a slow tempo acoustic tune titled "Home," which the judges said recalled artists like Fleet Foxes, Paul Simon and Mumford and Sons. At one point during Phillips' final performance, the pawn shop worker was accompanied by a marching band. High school student Sanchez and competitor Phillips dazzled the judges in Tuesday's initial rounds. The panel declared that she won the first matchup featuring song selections by "Idol" creator Simon Fuller, soaring with Whitney Houston's "I Have Nothing," while Phillips delivered a solid rendition of Ben E. King's "Stand by Me." "It's like a battle of the opposites," said Lopez. "How do you compare?" The second round recalled the finalists' favorite previous "Idol" performances. Sanchez reprised "The Prayer" by Andrea Boccelli and Celine Dion from the Las Vegas solo round, and Phillips crooned "Movin' Out" from Billy Joel week. Lopez gave the bout to Phillip, while Tyler said Sanchez took it and Jackson declared it a "dead heat." The judges flatly rejected "Change Nothing," the lukewarm potential future single that failed to fully showcase Sanchez's vocal prowess. Jackson told her that it "lacked pop flavor," while Tyler declared that it wasn't "the proper song for you." Sanchez concurred, saying, "Definitely, when I make my record, if I ever do, it's going to be a lot more me."